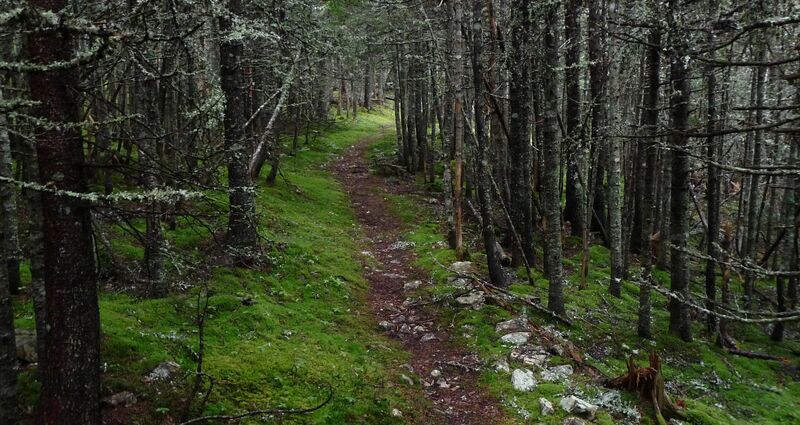 Trail hiking through a Newfoundland forest in the Avalon Peninsula, the most easterly point in North America. Avalon forests are dominated by balsam fir. Growth rarely exceeds 12 m in height. Thanks Lazarus! Hiking through there was amazing, heightened all the senses. The air was so fresh!